Churchill would be pleasantly surprised were he to return to pay his outstanding bills. The place is humming. 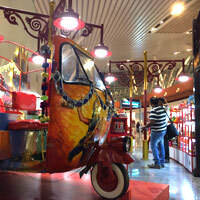 A Bangalore business hotels review and some spicy nibbles for the intrepid. Our fun guide to this city. YET to develop his famously dour bulldog jowls, former British PM Winston Churchill turned up in Bangalore in 1896 as a young and restless army officer to find a small and sleepy cantonment possessed of splendid weather but otherwise exceedingly dull. He described it later in his memoirs as a “third rate watering place”. Nevertheless, in between reading books and catching butterflies - the top-billed entertainment then – young Winston ran up a substantial bill of Rs13 at the Bangalore Club that he forgot or failed to settle before departing for more lively duties in 1899 to the North-West Frontier Province to quell some equally restless natives in search of wine, women, song, and independence, not necessarily in that order. To this day, that storied ledger entry of the outstanding sum is proudly on display at the stodgy but giddily aquamarine club, reverently perused by old codgers with bristling moustaches and chota pegs in hand, gawping tourists, and bemused Englishmen offering to pay the bill. 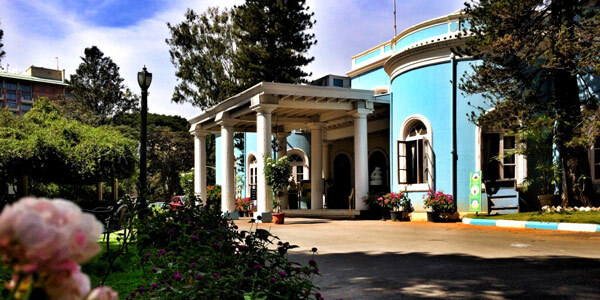 The astute Bangalore Club has favoured celebrity over settlement. I revisited Bangalore in late November 2016 to find myself, much like Churchill, in a quandary over bills. It wasn’t whisky. 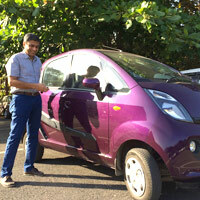 My taxi from the airport had run up a charge of Rs800, a simple matter you might think, but with the unexpected ‘demonetisation’ of commonly circulating Rs500 and Rs1,000 notes, roughly 80 percent of street cash – to punish black-marketeers and spoilsports who never pay taxes – there was no change to be had for the ‘approved’ Rs2,000 new note. None. Anyone with nous was hoarding Rs100 bills. I asked my hotel for change and the beaming receptionists nodded in that uniquely empathetic South Indian manner, heads bobbing left to right, clearly signalling, ‘Yes, No, Maybe, OMG, Do you want more chilli? I did not vote for Trump...’ My taxi driver wrung his hands, looked at me imploringly, bobbed his head, and handed me what change he had, promising to adjust the balance on the return trip. And that is what we did. He was as good as his word. It was firsthand insight into how, along with black money hoarders, common people queuing for medicines, transport, and groceries, as well as baffled tourists, were being borne along willy-nilly as India rocketed towards becoming the ultimate cashless society, though not in the Swedish sense. It was controlled chaos with a unique ‘Make in India’ stamp. But none of this has stopped Bengaluru (the ‘The City of Boiled Beans’), as the city is now known, from forging on with vim and vigour, full of beans of course. Churchill’s ‘boring’ jibe flies in the face of the motoring mayhem in the streets, the space-age technology parks, an efficient and modern airport, universities brimming with engineering and bio-tech brilliance, pubs brimming with brilliant engineers, and call centres and back offices that have achieved international notoriety with the dreaded phrase, “You’ve been Bangalored” (laid off). With an elevation of about 3,000 feet, the weather remains cautiously pleasant despite the inroads of rampant construction that has encouraged creeping warming. Leafy boulevards as well as dusty potholed roads are choked. People put their trust in God and luck as they forge the torrent of vehicles dodging careening buses, belching lorries and zippy Nano matchbox cars (the pride of india from TATA). 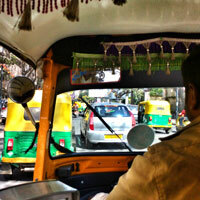 Bangalore roads are a litmus test of sorts, separating the men from the boys, squirming invertebrates from the intrepid. All this simply by reading the head bobbing, or lack of it – ‘I’m a pitiful wretch and deserve to be despatched’... ‘How dare you sir, I know the chief minister’. Business is thriving. There is a palpable undercurrent of energy generated by eight million hard working people, all frantically searching for Rs100 notes, with the more devout fervently praying for the second coming – an ATM able to dispense new larger sized legal tender. Demonetisation has produced some winners, like the digital wallet Paytm that saw its user base climb from 150 million to 160 million within a week, an increase roughly equivalent to the entire population of Greece. The traditional Karnataka cuisine Mavalli Tiffin Rooms (or MTR) in Lal Bagh is always bursting with diners who pay at the entrance (using credit cards) before waiting patiently to be summoned to their tables. Meals are served on thalis in briskly choreographed moves by dhoti-clad staff who ladle out all manner of delicious slop from steel buckets. Think endless servings of lentil rice (bisi bele bath), curd rice, soft dosas laced in ghee, chutney, grated carrots with coconut, vegetables, pickle, and more. It’s all you can eat for Rs240 (US$3.50). Other Bangalore distractions include Wonderla Amusement Park (with water slides) or the extensive Cubbon Park (with a biofuel guzzling toy train) for kids who have been weaned off their iPads or given an old-fashioned smack on the head; Bangalore Fort; Tipu Sultan’s Palace with its fluted columns and Saracenic arches; the Botanical Gardens in Lal Bagh; the HAL Aerospace Museum; and assorted temples, churches, and lakes. Tipu Sultan, the ‘Tiger of Mysore’, with whom Napoleon hoped to forge an axis against the British, perished at Seringapatam (now Sriringapatna) in May 1799 at the hands of the future Duke of Wellington, a full century before the young Churchill decamped from the Bangalore Club without paying for his whisky. Yet, that Rs13 bill is now academic as it would be impossible to clear, even by the most ardent altruist, as no one – save for Ranjit my taxi driver – has change for a Rs2,000 note. In 'bean city' you’ll find beans here aplenty, as well as idlis, dosas, rasam vada, biryani (spicy rice-meat pilaf) and Chicken 65 (additional points for eating it in a truckers’ “rest-o-bar”). Bangalore is bursting at the seams with development on steroids and its infrastructure is creaking at the joints. This is evident en route to Bengaluru International Airport (www.bengaluruairport.com) which is an expanded, albeit neater, version of the testing airfield for Hindustan Aeronautics (HAL) fighter jets. The government-owned aircraft company is one of the reasons for Bangalore’s original development. Bengaluru International Airport (still commonly referred to as Bangalore International Airport) opened mid-2008, located 40km from town, a 45-90-minute car ride at best of times and even further from the city's burgeoning IT farms. Infrastructure is slowly picking up and the "highway" is developing grudgingly with some two or four-lane segments lined by outcroppings of modern residential condominiums. The airport offers improved facilities, faster entry and exit, and occupies 3,900 acres of land east of the Bangalore-Hyderabad NH7 national highway. It is efficient and built on a human scale. You will not need hours to traverse the building. Things are well signposted and imigration and security are reasonably speedy with head-nodding smiles. Mugs who insist on parting with hard earned money on duty-free shopping at Bangalore Airport at departure will find a bit to amuse them, from perfume and jewellery, to alcohol and, of course, local souvenirs at the Lotus Room. In between are bookstores and a few eateries. Everything is small scale so don't expect mega-brands and wall-to-wall designer fashions. A 50ml bottle of Dior's J'adore EDT is US$83, with a 50ml BVLGARI Rose Essentielle eau de parfum weighing in at a tad more affordable US$69. A one litre bottle of Johnnie Walker Black Label or a 12-year-old Chivas Regal are both priced at US$39. Also spot Samsonite, Swarovski, Lacoste and a small Relay bookstore. Polished stone floors make carting wheeled bags easy and there's lots of comfy seating including stylish lipstick red long leather benches. The pace is relaxed with none of that heart thumping where's-my-plane drama. On your way from the airport you can take a prepaid taxi from one of the many persistent tour agency booths, or head out and flag yourself a vehicle of sorts. Meru cabs (www.merucabs.com/) are available at Bangalore International Airport and take credit cards, with radio taxis offering a New York-style Yellow Cab service in a modestly more beat-up contraption. MEGA Cabs (also with GPS/radio hook-ups, www.megacabs.com) are available as well as part of the official reception. Hard-boiled old hands will acknowledge they are a boon for business travellers not only because they accept credit cards. Regular airport taxis that queue up right outside the arrivals hall are clean, usually air-conditioned these days, with head-nodding drivers who do not seem to mind various detours and stops. Taxi meters start at Rs80 and a ride from the airport to say the Ritz-Carlton or JW Marriott will set you back around Rs800. There's a 10 percent surcharge from midnight to 6am. Non-airconditioned taxis are modestly cheaper and start at Rs70. Auto-rickshaw (three-wheeler scooter) drivers may or may not speak English, just as they may or may not use the meter. Insist on the latter whenever possible, though you will hear many imaginative reasons as to why this is an impossible request. Pedestrian pavements are non-existent save for around the city centre and along Residency Road that passes the arthritic and whimsically characterful Bangalore Club, posh new residences, and a discrete Ritz-Carlton, set away from the thrum, with its distinctive latticework and 400-thread-count Frette linen that will add nary a wrinkle or blemish to your bottom (rooms from US$240 and a lunch buffet from US$25). In this broad area travellers will spot a modern JW Marriott, the Chancery Pavilion, a Woodlands Hotel, the ITC Gardenia, and a bright and cheerful Ibis from Accor (with bouncy beds, extensive breakfasts and helpful staff at around US$45 a night and a lunch buffet at US$9). Other popular choices in the city include the green and manicured old world Taj West End (from US$206) on bustling MG Road, the city’s main artery, the colonial ITC Windsor, and the humming business traveller darling, The Oberoi. Take your pick after reading our Bangalore hotel reviews that follow. A fresh crop of hotels aimed at well-heeled business travellers as well as indigent hipsters have arrived or are in the works - the lively and buzzing Aloft Bengaluru Whitefield (with extra large windows, outdoor pool, bright colours and high ceilings for the hip and happy, around 20km from Cubbon Park); a Sheraton; and, on the horizon, a project for a 250-room Conrad in the IT suburbs of Indiranagar due late 2017. Indiranagar is where you'll find the 195-room Hotel Royal Orchid, the Regenta Hotels' flagship next too the KGA golf course. Its well appointed Deluxe rooms start at 300sq ft with WiFi. There's a Royal Orchid Central too, closer downtown. The contemporary 172-room Doubletree Suites by Hilton Bangalore (at Sarjapur near the Iblur Gate on the Outer Ring Road) arrived late January 2014 with bright pastel interiors lit up by vibrant cushions and a thoughtful array of space for living, dining and work in one to three-bedroom Suites as well as the Studios. Expect toiletries by Crabtree & Evelyn and, for a long-stay stretch, a kitchenette (with dishwashers in the suites), and a small balcony to crank open up visual space. WiFi is free in all public areas and 3,000sq ft of function space is on offer for corporate meetings. Work out at a 24-hour fitness centre, do laps in the outdoor pool (temperature controlled), or steam off in the sauna. Close to IT developments and technology parks, Doubletree offers a new staging base for hi-tech professionals and business suits in search of a stylish lift. Hotel prices in Bangalore, as elsewhere in Indian metropolises, are insane. Visitors will also encounter a quixotic brand of economic apartheid. If you can prove Indian residency (regardless of nationality), you get modestly cheaper Indian rupee rates, otherwise you get gouged on dollar prices. Not all hotels apply this principle though. The Sheraton Bangalore Hotel at Brigade Gateway serves up the fresh face of the brand with clean lines and warm tan earth tones in-room. The exterior is hard-to-miss uber-modern slimline steel and glass that from some angles resembles a flatscreen television. The 230-room hotel offers one of the more spacious pillarless ballrooms (800 theatre style) in town as well as an alfresco infinity pool with breezy views. Guestrooms have wood panelling to make corporates at ease and a minimalist zen that will appeal to many. The Presidential Suite is a lavish hideaway with near 360-degree views while 39sq m Club rooms (starting at around Rs12,500 per night) offer smart modular environs with access to the Club Lounge. Enjoy Indian, Italian or international cuisine, work out at the fitness centre, or de-stress at the spa. Brigade Gateway is connected to the World Trade Centre a little out of town but with easy access to the airport. 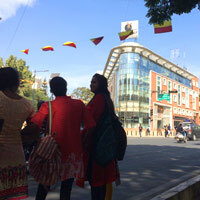 For the best Bangalore business hotels and a sprinkling of budget options, head to MG Road. This is more or less where all the action is in Bangalore. Over the last few years it has become way more polluted, chaotic and crowded, but you still see old (and now abandoned) houses with jacaranda trees that must have been irresistibly charming in the old days. In this leafy downtown area on the aforementioned Residency Road you might miss the discretely recessed The Ritz-Carlton, Bangalore set behind greystone walls, water features and leafy gardens. 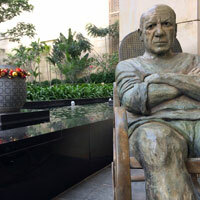 It rises up unassumingly in cream stone and glass a short distance into the quiet oasis, with a somewhat stern statue of Pablo Picasso at the entrance walkway to welcome you in. To be fair, that furrowed brow was a Picasso signature. The Ritz is full of small intimate spaces - with high-back seats and art - and none of that screaming 'grand' scale that makes it a daunting task to simply find the loo. 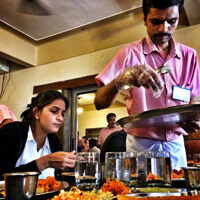 Staff is attentive and friendly and service proceeds briskly despite the low-key environs. Importantly, staff is empowered to take decisions and this visibly speeds up processes. With 277 contemporary rooms in rich sienna and gold hues with just enough burnished wood to make corporates feel right at home, The Ritz-Carlton is a top Bangalore business hotels pick. Expect a lot of texture, straight lines, and shining marble set off by vivid saffrons and flashes of red. The accommodations also include 48sq m Club rooms with the attendant club benefits and roomy Executive Suites starting at 102sq m with 400 thread count linen, goose down pillows, gleaming marble bathrooms, 42-inch flat-screen TVs, Blu-Ray DVD players, Nespresso machines and complimentary newspapers and shoeshine service. With shoes that sparkle to distraction, stride forth confidently to sample a range of F&B outlets including the aromatic frontier food Riwaz. Think smoky kebabs and chewy naans. There is a Ritz-Carlton Spa by ESPA to deal with your wellness needs while calories can be burned off at the fitness centre. Pin-stripers can contact a “conference concierge” about MICE events or a small corporate meeting. This address serves up 18,000sq ft of function space so there’s ample choice, yet it is all tucked away discretely. Mark this address down for small meetings, corparate galas, or a quiet weekend kip. Another international name in this area is the 270-room JW Marriott Hotel Bengaluru (September 2013) a sedate construct with contemporary dark woody interiors that will appeal to corporate travellers, with breezy views of Cubbon Park to boot. This is a central downtown Bangalore location. Expect over 10,000sq feet of versatile event space for corporate meetings and conferences including outdoor venues and a de rigueur pilarless ballroom for everything from weddings to gala product launches. Executive Suites serve up dark-tone woody bedrooms in with straight clean lines, classic lamps with lampshades by the bed, work desks, flat-screen televisions, sliding-door bathroom partitions and soaking tubs, and above average floor area leaving ample room for road warriors to swing a fully loaded MICE briefcase about. This is a quality address that scores well on this Bangalore business hotels review and compares favourably vs competitors like Leela, Taj and Oberoi. Right next door is the mammoth UB City Mall and complex housing everything from international designer brands and fine dining to an Angsana Day Spa, and the Oakwood Premier Prestige serviced residences (with smart well-equipped Studios starting at 440sq ft) for long stays in Bangalore. There are one bedroom and two bedroom set-ups as well running up to 1,450sq ft of stretch space. 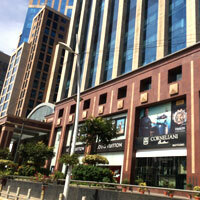 At the three levels of The Collection at UB City, find a trove of brands and goodies for Bangalore shopping boffins. Peek into Louis Vuitton, Burberry, Bottega Veneta, Canali, Rolex and Estee Lauder among others. The Radisson Blu Atria Bengaluru (formerly The Atria, close by Cubbon Road, that has morphed into a more contemporary setting) offers fresh décor with more light, more wood, more fabric and sense of style with bed runners and cushions. Rooms are in dark pastels with the Presidential Suite serving up brighter powder blues. Facilities include Flastscreen TV, minibar, phone, WiFi, a safe and a coffee maker. Not a bad choice if you are shopping for a reasonably priced Bangalore hotel just 3km from Cubbon Park and the train station. This address also offers 1,250sq m of conferencing and meeting space. Rooms start at around Rs12,000. At the venerable The Oberoi, Bangalore pick a lower floor room with a balcony overlooking a manicured tropical garden that provides the centrepiece. 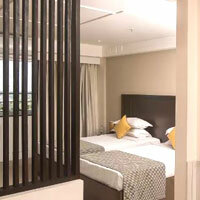 These rooms open onto an exterior corridor that faces the noisy and feverishly busy MG Road. Fortunately, a double-door system, fresh glazing, and deep carpets ensure that the new bedrooms - 160 were fully re-kitted by late 2013 - remain discretely quiet. A 40-inch flat-screen TV is hooked up to an iPad for you to toggle between in-room services and facilities from lighting to movies. This nifty product is called Oberoi E'nhance. Think marble bathrooms with standalone tubs, and LCD screens to stay in the loop. The upgraded hotel unveiled new 344sq ft Luxury rooms (on higher floors with special 12-inch thick mattresses and wake-up Nespresso machines) and 842sq ft Executive Suites along with a new-look Spa and Fitness Centre. Expect smart wooden parquet flooring, thick stitched quilts in deep gold hues, electric blue cushions, louvred wooden window shades, carpets, elegant classic lamps and brass coffee tables. Working desks are equipped with a data-port. Deluxe rooms face the gardens while Luxury rooms face the pool. The Oberoi certainly sees itself as a quiet, exclusive sort of place. The pool, surrounded by the garden, closes at 6pm. Conferencing choices are modest but there are three modern meeting rooms for seminars and workshops. There is however a 24-hour business centre and butlers are on call to assist with any need. 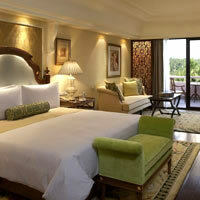 The Oberoi knows what its clients want – peace and quiet after a long day at work. After sweating through the furious chaos of the city, sitting in the outdoor coffee shop is quite unbelievable, with its tall palm trees and tropical plants providing shade and soothing floral smells. The coffee shop closes after 11pm, discouraging unsteady young partygoers from barging in unwelcome in the midnight hours. In Bangalore, “all-night” clubs close at 11.30pm by law, as do all other bars (including those in hotels). So... which coffee shop do you head to? Straight to the Lounge at the The Taj Residency that morphed into the hip and bustling Vivanta by Taj, MG Road only to switch back to Taj MG Road, Bengaluru by July 2018. A few score metres from The Oberoi, towards Trinity Church Road, is the bigger, concrete, and more business-like Taj hotel; one of their two Vivantas in the city. Its corner location offers a pretty good view of the city and the trees as they disappear romantically into the traffic fumes. Expect huge flat-screen TVs in-room, and perhaps massage chairs in suites. Also expect rollaway desks, gleaming tubs and carpets underfoot. There’s a business centre with small boardrooms, more conference space should you need it, a remodelled outdoor pool and a Jiva Spa with three treatment suites. Off Swami Vivekananda Road is the hip and happening Hyatt Bangalore MG Road (formerly the Ista). This is a breakaway business traveller brand from the group responsible for the sedate and spiritual spa retreat, Ananda in the Himalayas now flies Hyatt colours with the same contemporary aplomb. Expect funky, mod interiors with cool artefacts in cosy corners, an alfresco pool, great views of Ulsoor Lake, and a laid-back yet with-it style that will appeal to the younger pin-striper on the go. Yes, there's Broadband, LCD TVs, and ergonomic beds. On to The Park Bangalore. Similar to The Park New Delhi, beloved of the foreign press, it has the same cheerful hallucinogenic overtones. Think neo-Indo-baroque. The exterior is Bauhaus, with bright red, yellow and blue squares emphasizing the building’s modernist lines, and the interior follows suit. A large South Indian carved wooden pillar supports the lobby, which is walled off by huge orange drapes. Staff members are attired in suits with T-shirts that work well for Michael Madsen in Reservoir Dogs, but with the occasional potbellies and moustache, it’s a bit of a stretch here. The bar sits around a modestly sized pool, and the restaurant has a good reputation – if you can get your eyes off the surreal mood lighting. In-room modernism is a more familiar brand of Scandinavian chic, and allows the pulse to settle. Book online say 30 days in advance to get the best discounts. The tech area of Whitefield is another good hunting ground. Explore the Aloft Bengaluru, Whitefield, a young and urban serving by muscle brand Starwood. Think bright rooms and décor with a signature Bliss Spa. Road Warriors with gelled hair can use the in-room data-port to connect their devices to a 42-inch flat-screen TV and surf the web with free WiFi. An Aloft Suite offers a bit more stretch space. The Zuri Whitefield, Bengaluru is also close to ITPL, KTPO, SAP Labs and other business parks. At The Zuri find another piece of urban chic to chew on. Think dark walls, opulent textures - modernity with a boudoir twist, all in 32sq m. Business travellers will be happy with the 32-inch LCD TV, IDD phone, safe, entertainment system, spacious bathtub, rain shower and complimentary WiFi. 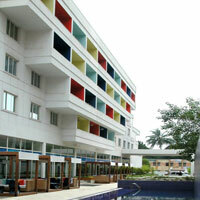 The modern, colour-changing facade of Vivanta by Taj, Whitefield, standing at the main entrance to the International Tech Park, Bangalore (ITPB) and 45km from the airport, positions itself as a smart Bangalore business hotel. Rooms are smart with fun but tasteful décor. Mod-cons like WiFi, 32-inch LCD TV, IP Phone, ergonomically designed work desk and chair, and surround-sound home theatre are designed to keep your attention whether business or pleasure. The 24-hour business centre has good facilities, with mobile phones and laptops for hire, secretarial services and express check-in and check-out. The third Vivanta sibling, 327-room Vivanta by Taj, Yeshwantpur, Bangalore, is near the Bangalore International Exhibition Centre and serves up 18,000sq ft of function and banqueting space along with a separate convention centre. This could be a useful Bangalore conference hotels choice. Also in Whitefield, the smart, white cubist Alila Bangalore (closed in mid 2015) to make way for the Holiday Inn Hotel & Suites Bengaluru Whitefield. Much of the former's design statement has been retained with clean lines, uncluttered interiors, woody hues, texture, and inviting sun drenched rooftop infinity pool set flush into a bleached-timber patio. In the technology district of this fast-growing city, Holiday Inn serves up free WiFi with free stays for kids under 12 years rooming with their parents. Its bread-and-butter 32sq m rooms offer a work station, 32-inch television, iPod dock, and perhaps a balcony. A 64sq m Suite offers gleaming wooden floors underfoot, a living room with large flat-screen TV, and a bathroom with both shower and a soaking tub. Expect a pillow menu, iron and ironing board and an in-room safe in all rooms. If you're looking for an affordable business hotel, which doesn't scrimp on leisure perks, then the Lemon Tree Hotel, Electronics City, Bengaluru, is a sound option. Its rooms are bright and comfortable and include features such as LCD TVs, DVD players, work desks with ergonomic chairs, blackout curtains and high-speed WiFi. Once you’ve shed your pinstripes (or your crumpled tourist map), head to the spa or cool off in the rooftop swimming pool. Lemon Tree has several offerings in Gurgaon (across the border from Delhi) and is expanding its portfolio rapidly. The remaining top-end Bangalore business hotels are located around the Bangalore Golf Club at High Grounds, about a 15-minute drive from MG Road. 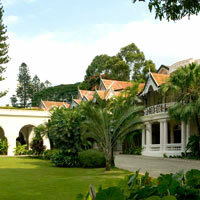 The LaLit Ashok Bangalore, located adjacent to the house of top local hombres, is blissfully quiet. A pleasant driveway leads through 10-acre grounds to its curved beige facade, fronted by a nice garden. With just over 180 rooms with serene pool or golf views, the atmosphere here is certainly less frenetic, and the service more personal. Thorough renovations have seen the property re-emerge with a jauntier stride. Huge windows run throughout Rejuve–the Spa overlooking the pool and garden. Even Mahatma Gandhi got to appreciate the place at one point (granted, before it was a hotel) because there’s a little memorial under the tree where he spent some time. The 336sq ft Pool View Rooms are in contemporary trim with a 37-inch LCD television and WiFi (charged, alas). Over at one corner of the hotel you’ll find matchmakers meeting to arrange weddings between possible parties. Local legend has it that the spot is lucky. There are meeting rooms and function areas. Think a massive 33,500sq ft of event space and you’ll spot this as a Bangalore MICE hotel biggie. 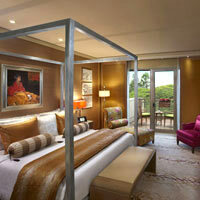 On the other side of the golf course, on busier Sankey Road, is Le Meridien Bangalore. This is another reflective glass multi-storey business hotel with a 24-hour coffee shop, segregated smoking and non-smoking rooms, and evocative black-and-white décor with flashes of crimson that is both mod and stark. Find big flat-screen TVs, DVD players and all the usual mod-cons. It also has elevator keys that keep you strictly to your own floor. There’s a gym tucked behind the pool, and a women’s salon below ground. 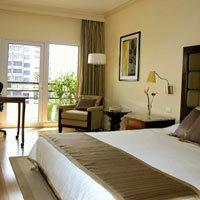 The hotel is certainly focused on suits rather than leisure trippers and strongly pushes events and conventions. The airport is a 30-minute drive or less from here. This is in contrast to the 240-room ITC Windsor Bengaluru, a Luxury Collection property from Starwood, just a few hundred metres further down the road. ITC Limited, (formerly the Indian Tobacco Company), is a storied relic of British colonial times. From the outside the massive blindingly white Raj-era hotel looks like the mansion of the Lt Governor of Bengal, or some such cavernous and echoing residence. The staff may rightly expect you to sport a thoroughly posh accent. Think starched colonial white in neatly laid out manicured grounds with typical Regency Period touches like colonnaded walkways. Decor is dominated by paintings of stiff upper-lipped British officers gallivanting on hunts, or being served tea by dark skinned servants. Rooms range from classic to boudoir with broad candy-stripe bedspreads or purple velvet coddled in silk cushions. A Manor Room is a toned down classic in cream and royal blue prints while the Presidential Suite is awash with hoary wooden cabinets, plush deep seating sofas, carpets and gauze drapes tickling the pillows. Pick your space and era. The ITC Windsor has some of the best food in Bangalore, with restaurants such as Dum Pukht and Royal Afghan serving brilliant northwest frontier cuisine. Unwind at the Kaya Kalp Spa with its myriad wellness treatments or book in for a convention. In years passed, the hotel has hosted a SAARC conference and a Miss World. Find meeting rooms in various sizes but this address is best suited to small or mid-size corporate meetings. Those looking for genuine unadorned peace and quiet should make a beeline for The Taj West End. This isn’t really a business hotel at all though service is crisp and intuitive and it even has a video-conferencing venue. It’s a resolutely old world hideaway disguised as a colonial tea garden, selling itself as an address for business travellers on the go. The hotel grounds span 20 acres – and no, that’s not a typo. This is a 125-year-old property that started out as an inn for British soldiers. A massive tree in the middle of the hotel is as old as the building, and its canopy spreads out to cover some of the rooms. This isn’t a standard hotel with a main body, and rooms are located in small, single or two-storey buildings that dot the property. The presidential suite actually has its own massage table in a gazebo-like open structure next to a little private dipping pool. Guests have their favourite rooms here and return like homing pigeons. The 450sq ft Luxury rooms are decked out grandly with wire-frame four-poster beds, flat-screen TVs with DVD players. If you’re lucky though (or pushy) you could get one of the older rooms with their massive, colonial-style bathrooms. These are the size of entire bedrooms in other hotels. Every room has its own verandah, looking into the gardens, which are wonderfully serene unless the site of yet another wedding reception. 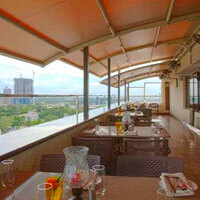 Taj Club Rooms up the ante with lounge facilities, 42-inch televisions and butlers on call. Later, dip in the outdoor pool, swing out on the tennis court, or book an energising massage. The Taj West End is next to the Bangalore Turf Club, so when the races are on you can rub shoulders with horse owners, and perhaps a little former royalty. The hotel also has the only Vietnamese restaurant in the city and is soon opening a champagne bar. Great news, except you’ll have to drink up by 11.30pm. 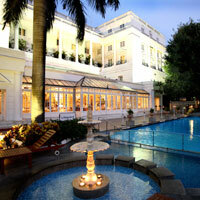 The Leela Palace Bangalore (formerly a Kempinski) is widely regarded the hotel that others set their benchmarks by. It is a palace in the MGM sense of the word; all about the façade and glitz. From some angles it looks incredible, as if Scheherazade from The Thousand and One Nights might appear at any moment on one of the top balconies, scantily clad in billowing silks. As with other Leelas, the finish is impeccable and hard to fault but you may, on occasion, forget you are a guest of the maharaja if you stumble into a teeming convention as a rumpled commoner. The Leela certainly lays it on. Incense wafts around the lobby, which is filled with expensive period furniture and rugs. 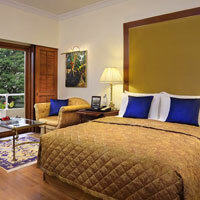 The rooms are bedecked in a manner befitting a pedigreed palace hotel. Pick a Royal Premiere Room with its classical furniture, silk lampshades, soft pools of light, tasteful paintings and photographs on the walls, fresh green settees and occasional balconies. It’s 752sq ft of luxuriant space with WiFi, a 42-inch flatscreen TV and DVD player. Club rooms and Executive Suites add the convenience of butlers to do your bidding should you find it hard to unpack your impedimenta. At 1,085sq ft the Royal Club Suite is ample space for a major rumpus should you be so inclined. The spa is open from 6am to 10.30pm so there’s lots of time for a rubdown aromatherapy massage or more. If you wish to compare Leela Palace Bangalore vs The Ritz-Carlton, do refer to our earlier paragraphs on newer luxury hotels. Heading farther out past Yelahanka off Doddaballapur Mari Road is the serene and green Angsana Bangalore that has mercifully shortened its name, dropping the “Oasis” and more. Pick from one or two-bedroom suites that open onto patios and gardens. Expect a kitchenette, Internet access and the usual must-have mod-cons. There are conference facilities for pin-stripers too and a raft of recreational facilities from tennis and aerobics to gym workouts, yoga, meditation swimming. Best of all, there's the opportunity to unwind at the Angsana Spa, choosing from a range of holistic treatments. After a spot of sweaty business in town, those in search of a Bangalore spa resort might explore this soothing option. ITC Gardenia, Bengaluru (also a Luxury Collection property) is all about going green, from its sustainable, pro-environment practices to its interiors. A vertical garden of plants runs up the length of this 292-room hotel, intertwined with an artistic mesh of concrete, cement, wood and glass. 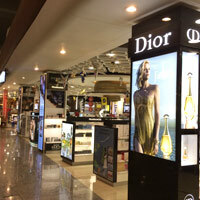 It is walking distance from malls and the business centre of UB City. Rooms range from classic to bling and over-the-top. Club guests can expect lounge cocktails every evening and free use of the boardroom (subject to availability). Butler service is available for special requests. There is also a dedicated ladies-only wing. For stretch room in green laid back hacienda-style red-tile-roof surrounds check out the Golden Palms Hotel & Spa Bangalore. This retreat is about 6km from the Bangalore international Exhibition Centre (BIEC) and boasts a pretty large spa facility. With prices like Bangalore’s, there have to be budget business options and these are generally located close to each other, in the approximate area between the golf course and MG Road. The service is uniformly tepid. Hotel Ibis Bengaluru City Centre right opposite the green tree-lined Kanteerava Outdoor Stadium and a stroll from both Richmond Road and Residency Road - though you'll have to fight through the traffic scrum at Richmond Circle - is a fresh and cheery hotel. 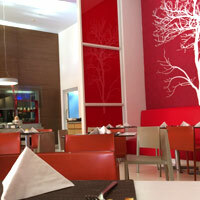 A newcomer, it offers the standard single cafe that does extensive and tasty breakfasts and meal buffets. Rooms are compact and clean with a moulded compact Japanese-style wash-up area that combines the toilet, a basin with mirror, and a shower. There are basic toiletries and a wall-mounted hairdryer. Body wash and shampoo are included but extra toiletries are charged from Rs30 to Rs50 or so. The room has a faux wood-veneer floor with a small desk, a cupboard with a laptop safe, an empty fridge for you to stock up, an electric kettle for tea, and two bottles of water. Keep in mind the mattress is rather soft foam. One small wall mounted LCD TV and a single three pin multi-plug electric socket at the desk complete the ensemble. Not far from Le Meridien, at the 50-room Goldfinch Hotel Bengaluru that has assumed the mantle of a boutique hotel, rooms are neat and clean, with all the standard accoutrements. Some upgrades have seen partial screen glass windows separating bedrooms from the bathrooms, wood flooring, flatscreen televisions, and more. To its credit this address claims a small spa and a kebab restaurant too. Early 2017, rates were starting from around Rs5,440. Note that the corridors of the well-decorated (and slightly musty) 37th Crescent are not air-conditioned, which may be a good or bad thing depending on your list of priorities: comfort or, well, the survival of our species. There also don’t seem to be many female guests because the gym and facilities all seem all oriented towards male travellers. There are a couple of eateries here too along with a jazz theme bar, and rooms, some brighter but quite basic, started at around Rs6,400 in early 2017. Good service and reasonably central location but dated decor. The Hotel Ivory Tower Bangalore is an upgraded budget - now semi-boutique - business hotel tucked into the 12th and 13th floors of the Barton Centre, MG Road. Find simple smart rooms in light pastels with chic wooden slat room dividers, tea making facilities, clean compact toilets, room service, a fridge, WiFi, and an electronic safe for a scant Rs3,800 (single). This in early 2017. Make sure you get a room with a view (and window), unless window-less holes-in-the-wall are your accountant’s preference. Most rooms however offer a living area as well as a bedroom and are surprisingly roomy for the price. The Ebony restaurant offers a semi alfresco experience. Nice open views if you have one, and a good location in the heart of town. This is a great value hotel in the heart of Bengaluru. And that’s our Bangalore business hotels review with a bit of on-the-cheap thrown in too. Stay in style or sumptuously shabby, it’s up to you. Exchange rate: fluctuating at roughly US$1 = Rs68. All hotels will change money, but often at higher rates than Thomas Cook or others. Hotel rates fluctuate daily. Weekends are often substantially cheaper to attract families, since most travellers are here on business. A 12 percent luxury tax is standard at all hotels. Due to government regulations, the tax was until recently charged at the rack rate, not at the price you might have been paying. This is due to change. Restaurant prices may or may not include taxes (including 12.5 percent VAT) for service industries including hospitality, and 5-10 percent tips are customary but not required. Any room rates listed here are purely for rule-of-thumb comparison. Rates fluctuate daily and depend on low and high seasons. Always check for the Best Available Internet (BAR) rate online or speak with your travel agent. In general, rates may range from Rs4,000 at a good three-star budget level hotel to Rs12,000-Rs20,000 at high end five-star hotels where suites will cost more. Aloft Bengaluru Whitefield. Tel: [91-80] 6670-7777, (e-mail: resv.bengaluru@aloftbengaluruwhitefield.com or www.starwoodhotels.com/alofthotels/). Angsana Bangalore. Tel: [91-80] 2846-8892, fax: 2864-8897, (e-mail: bangalore@angsana.com or www.angsana.com/en/ap-india-bangalore). Chancery Pavilion. Tel: [91-80] 4141-4141, Toll free: [1-800] 425-4242 (chanceryhotels.com/accommodation/). Doubletree Suites by Hilton Bangalore. Tel: [91-95] 3561-1522, fax: [91-80] 6765-6567, (doubletree.hilton.com). Golden Palms Hotel & Spa. Tel: [91-80] 2371-2222, fax: 2371-0022, (www.goldenpalmshotel.com/bangalore/). Holiday Inn Hotel & Suites Bengaluru Whitefield. Formerly Alila. Tel: [91-80] , (www.ihg.com/holidayinn). Hyatt Bangalore. Tel: [91-80] 4936-1234, fax: 2554-9999, (bangalore.hyatthotels.hyatt.com). ITC Gardenia, Bengaluru. Tel: [91-80] 2211-9898, fax: [91-80] 2211-9999, (www.itchotels.in/hotels/bengaluru). ITC Windsor Bengaluru. Tel: [91-80] 2226-9898, fax: 2226-4941, (www.itchotels.in/hotels/). JW Marriott Hotel Bengaluru. Tel: [91-80] 6718-9999 , fax: 6718-9000, (www.marriott.com/hotels/travel/blrjw-jw-marriott-hotel-bengaluru/). Le Meridien Bangalore. Tel: [91-80] 2226-2233, fax: 2226-7676, (www.starwoodhotels.com/lemeridien). Lemon Tree Hotel, Electronics City, Bengaluru. Tel: [91-80] 4480-2000, (www.lemontreehotels.com/lemon-tree-hotel/). Oakwood Premier Prestige Bangalore. Tel: [91-80] , (www.oakwoodasia.com/bangalore). Hotel Royal Orchid. Tel: [91-80] 4178-3000, (www.royalorchidhotels.com). Sheraton Bangalore Hotel at Brigade Gateway. Tel: [91-80] 4252-1000, (www.sheratonbangalore.com). The LaLit Ashok Bangalore. Tel: [91-80] 3052-7777, fax: 3052-3052, (e-mail: bangalore@thethelalit.com or www.thelalit.com/the-lalit-ashok-bangalore/). The Leela Palace Bangalore. 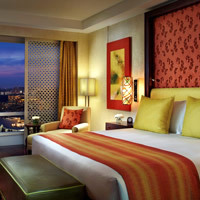 Tel: [91-80] 2521-1234, fax: 2521-2222, (www.theleela.com). The Oberoi, Bangalore. Tel: [91-80] 2558-5858, fax: 2558-5960, (www.oberoihotels.com/oberoi_bangalore/). The Park Bangalore. Tel: [91-80] 2559-4666, Toll free: [1-800] 11-PARK, (e-mail: resv.blr@theparkhotels.com or www.theparkhotels.com/bangalore/). The Ritz-Carlton, Bangalore. Tel: [91-80] 4914-8000, (www.ritzcarlton.com/en/Properties/Bangalore/). 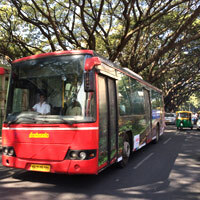 Taj M G Road, Bengaluru. Tel: [91-80] 6660-4444, (taj.tajhotels.com/en-in/taj-mgroad-bengaluru/). 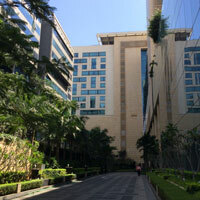 Radisson Blu Atria Bengaluru. Tel: [91-80] 2220-5205, fax: 2225-6850, (e-mail: reservationblr@radisson.com or www.radissonblu.com/en/hotel-bengaluru). The Taj West End. Tel: [91-80] 6660-5660, fax: 6660-5700, (taj.tajhotels.com). The Zuri Whitefield, Bengaluru. Tel: [91-80] 6665-7272, fax: 6665-7282, www.thezurihotels.com/bengaluru/). Vivanta by Taj, Whitefield. Tel: [91-80] 6693-3333, fax: 6693-3344, (vivanta.tajhotels.com). Vivanta by Taj, Yeshwantpur, Bangalore. Tel: [91-80] 6690-0111, fax: 6690-0009, (vivanta.tajhotels.com). Goldfinch Hotel Bengaluru. Tel: [91-80] 4129-1300, fax: 4113-8488, (e-mail: info@goldfinchhotels.com or www.goldfinchhotels.com/Bengaluru/). Hotel Ivory Tower Bangalore. Tel: [91-80] 4178-3333, fax: 2558-8697, (www.ivorytowerhotel.com/). 37th Crescent. Tel: [91-80] 4037-3737, fax: 6659-7989, (e-mail: reservations@37thcrescent.in or www.37thcrescent.in).